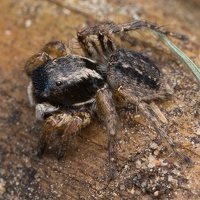 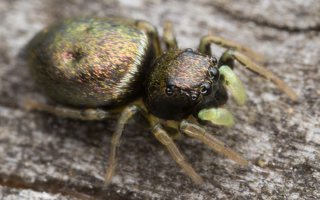 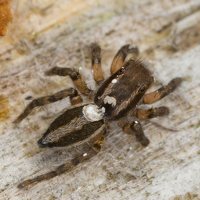 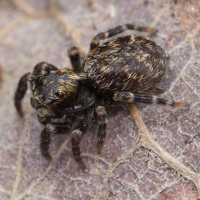 EN · jumping spiders DE · Springspinnen LV · lēcējzirnekļi PL · skakunowate, skakuny, skaczele RU · пауки-скакуны, пауки-скакунчики Two middle eyes are big and forward facing to enable stereoscopic and highly sophisticated acute vision used to leap accurately while moving around as well as capturing prey and escape efforts. 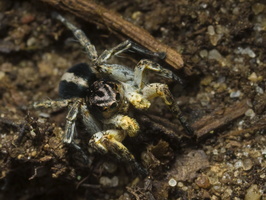 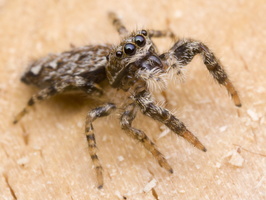 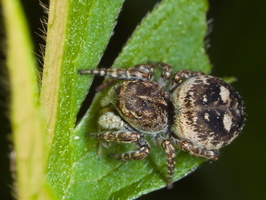 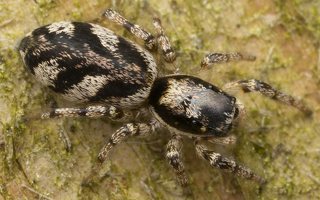 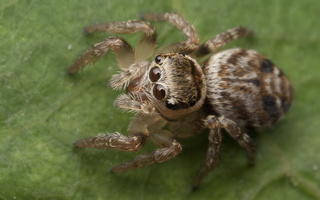 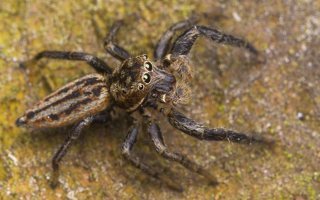 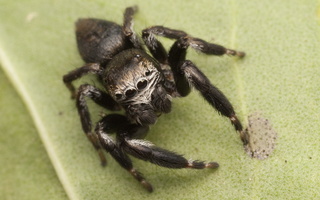 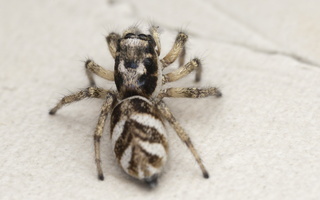 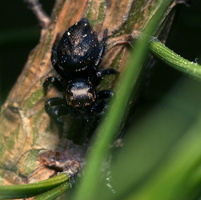 The jumping spider family Salticidae contains more than 630 described genera and over 6100 species, making it the largest family of spiders with about 13% of all species. 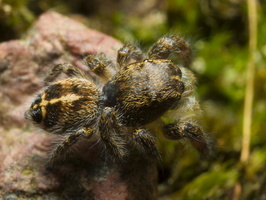 About 40 species in 17 genera are known in Lithuania.